things of the same class; and so forth. PVRs (Personal Video Recorders) are all the rage. Most offer features beyond digital VCR-like functions and live broadcast viewing. Media (DVD/CD/VCD) and MP3 playback are pretty standard. Some even offer electronic photo slideshows so you can lull guests into a coma with the latest pictures from your summer vacation. Digital media integration is big, and promises to be even bigger in the next 18 months. Commercial offerings from Microsoft, Tivo, and ReplayTV are easily found on the shelves of every electronics mega store from here to kingdom come and there are dozens of do-it-yourself and computer hobbyist options available. I've experimented with home automation and computer-based broadcast recording for several years now. I've tried solutions for Windows, Macintosh, and Linux. While a home media center can be the centerpiece of a successful home automation scheme, it is becoming more likely to be implemented by consumers independently. In these articles I will summarize the experiences I have had as well as outline hardware choices and software solutions that I am currently using. My first attempt at this sort of thing was around 1996. ATI offered a hardware expansion to their Xclaim series of video cards that provided for simple television viewing, and if storage and hardware speed allowed, some recording. I installed this solution in my Power Macintosh 7500 so I could watch television while working from my dungeon (more accurately, my basement "office"). While limited, it was possible to record video with audio and even search several channels' closed captioning for keywords. A primitive solution at best, but it yielded good results for its time. A couple of years later, Microsoft began their WebTV initiative. 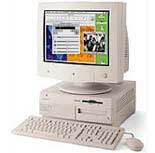 An often overlooked feature of Windows 95 allowed users to download the latest TV listing using the WebTV service. If you were fortunate enough to have a compatible television tuner, you could use the listing service to tune to a program and even search for a show by title. This was pretty advanced for the time... and, unfortunately, quite buggy. A convoluted installation and configuration process guaranteed that only the most tech-savvy Windows users... or at least those with too much time on their hands... would be able to find the correct WDM drivers and configure the WebTV application. I was one of them (most likely the latter). Another memorable bug caused the entire OS to crash if one scrolled through the TV listings too quickly. But, this was a start. At this time I had TV tuning on both a Mac and a PC working side-by-side. I was becoming more involved with Linux and started experimenting with V4L (Video 4 Linux) on my now dual-booting PC. The tuner I had chosen happened to use the BT878 chipset, which was compatible with V4L. Complete luck, but planning such compatibility is key of you hope to dabble in both environments these days. While Video 4 Linux lacked much of the polish found on the other platforms, it was fully functional. By 1998 I had successfully installed and evaluated computer-based tv solutions for Windows, Mac, and Linux. I had no idea that these well-organized experiments in wasted time and geekiness would evolve into a real industry. USB) from El Gato Systems. Fast forward to 2002. The tuner card has been removed from my media PC and I am still using the ATI Xclaim card as the second video card in my Mac (now a more modern G4). When OS X arrived, the TV viewing app no longer worked and I was forced into a TV-less computer work environment. Eventually, I discovered the EyeTV by El Gato Systems. A small usb-based tv tuner that offered reliable, good-quality television recordings. I was back in business. A single cable to my Mac and I could watch and record shows. With the handy Watson software from Karelia I could browse listings just as I had with WebTV as well as schedule recordings with a single click. A few months ago, Karelia sold their technology to Sun (who will most likely squander it as they have with all of their other initiatives) and suddenly, Watson was no longer being developed. To add insult to injury, TVGuide.com, the source for the Watson TV listings, changed their listing format to Flash. Watson could not parse this, and I was left with the clunky, unreliable listings from Titan TV. This would not do. Deprecated due to API change. See www.leinninger.com.